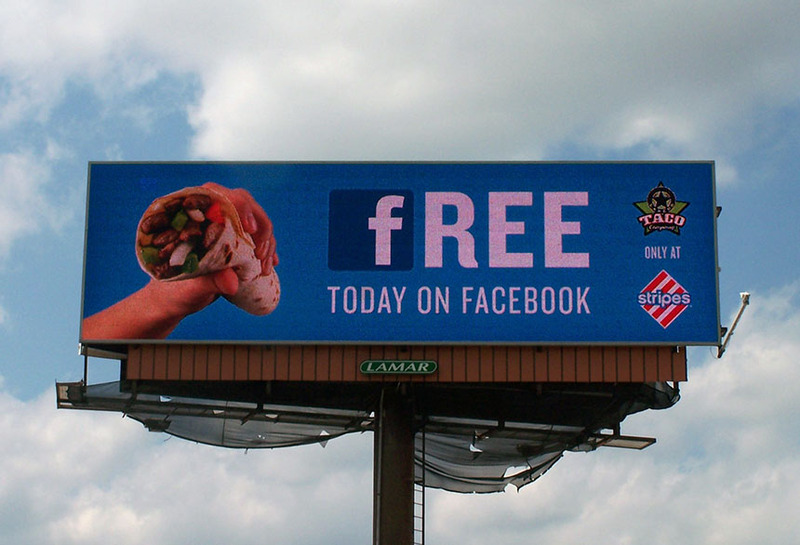 Stripes ran a 1-day promotion advertisement using Lamar digital billboards. This creative encouraged consumers to connect to their page on Facebook to receive a free gift. Digital capabilities allow for 1 day promotions which can have a large impact on local product consumption.